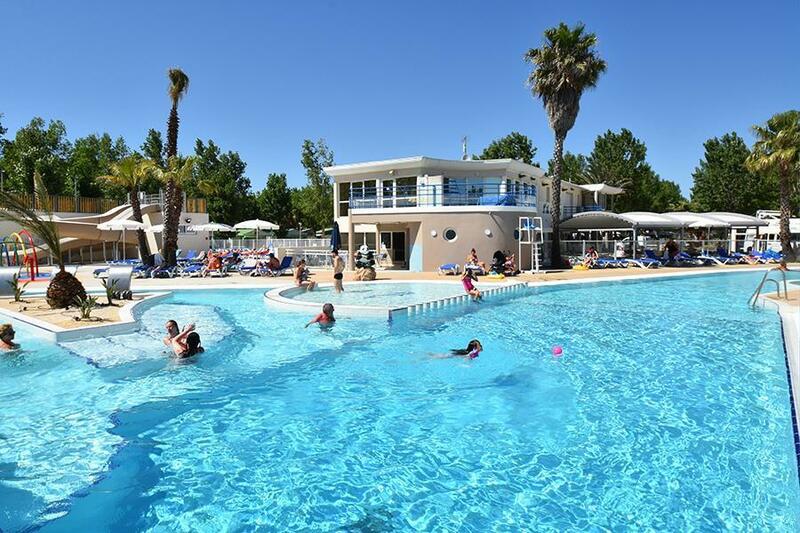 At Camping Club Le Napoléon in Vias (Hérault) camping costs as little as €20,- per night during low season with CampingCard ACSI. At one of the 120 touring pitches you will get a discounted rate during the period 05-04-2019 - 07-07-2019 and 26-08-2019 - 22-09-2019. At this campsite you can not only use your CampingCard ACSI for inexpensive camping, you can also use your ACSI Club ID (as an alternative ID). A fine campsite with extensive amenities and entertainment for all ages. Tall poplars offer plenty of shade. 150 metres from the sea and a lovely beach with fine sand. Many boutiques, terraces, restaurants and shops next to the campsite. The new leisure pool is moderately heated and has free sun loungers. Had a lovely stay at the Napoleon at the beginning of September. The toilets and showers were kept clean and the pool was very good. We had a huge pitch which was partially shaded. The lady on reception had very good English. The supermarket at the gate of the site was useful. The site is very near the beach. As it was towards the end of the season, the snack bar closed whilst we were there. The fresh fruit and vegetable shop in Vias was also closed which was a bit of a nuisance. Great stay and would go back. Would you like to book Camping Club Le Napoléon or request more information? You can do both using the information below or by visiting the campsite's website. D612 exit Vias-Plage, then campsites Sud (South), at the end of the road to the right. CampingCard ACSI will send your information request to "Camping Club Le Napoléon".